Industries manufacture or use complex organic chemicals due to which the water used get contaminated either by feedstock materials or by-products. This poses a challenge as the contaminated water cannot be discharged in to the environment without bringing down the contamination levels to the prescribed limits. Therefore, an efficient system is essential to treat the contaminated water before it is discharged. 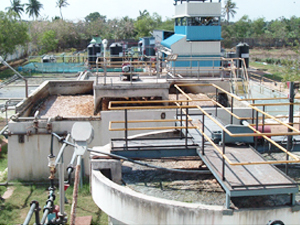 KARYASIDDHI offers a comprehensive rang e of both primary and secondary level Effluent Treatment plants as listed below.